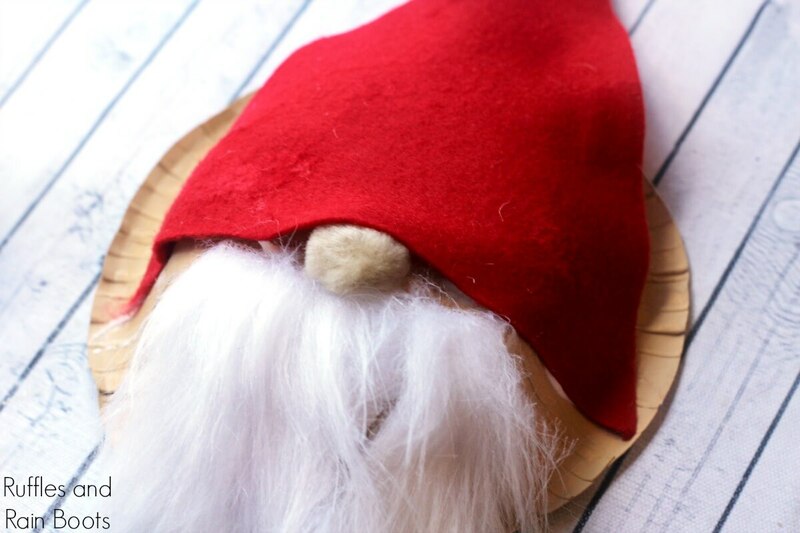 You are here: Home / General Crafts / Christmas / Paper Bowl Gnome Craft for Kids – Scrap-Busting Project Idea! 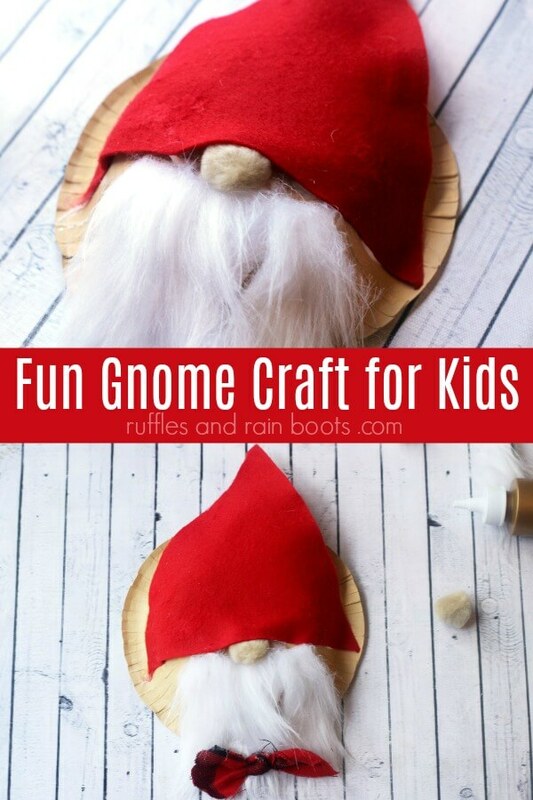 Paper Bowl Gnome Craft for Kids – Scrap-Busting Project Idea! 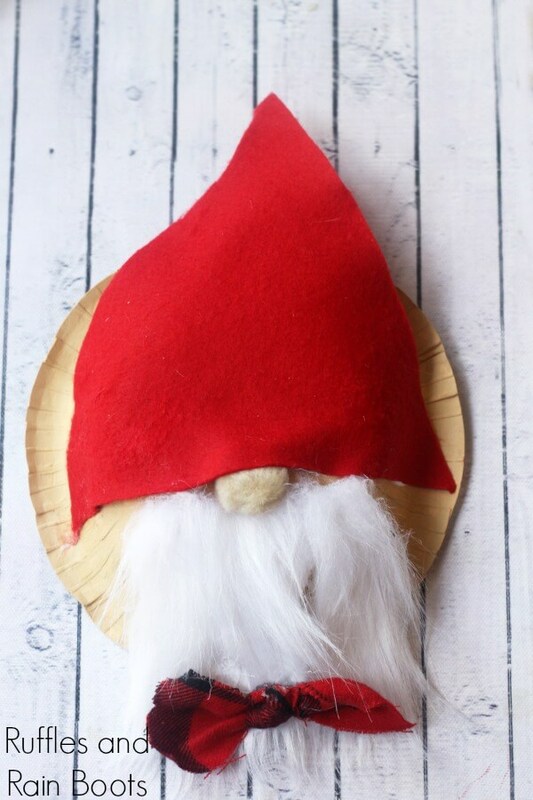 This fun paper bowl gnome craft for kids is so stinking adorable and uses scrap craft supplies. 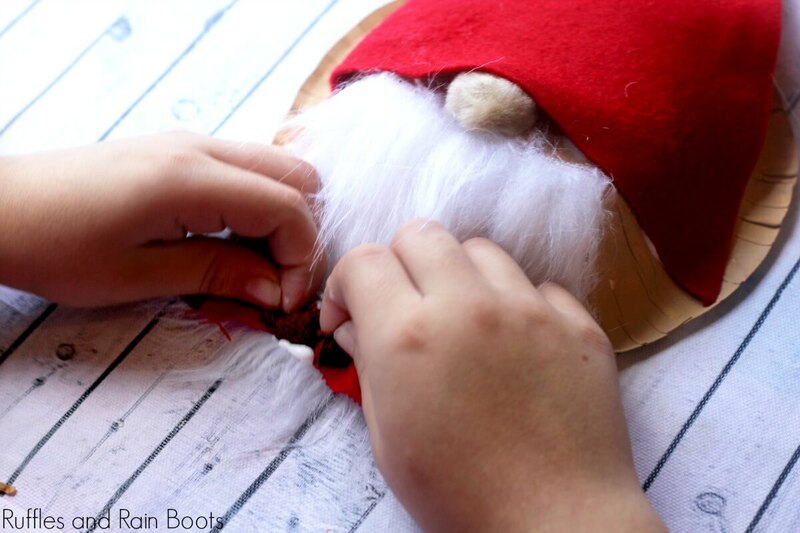 Grab the kids and let’s get started with this easy Christmas craft. 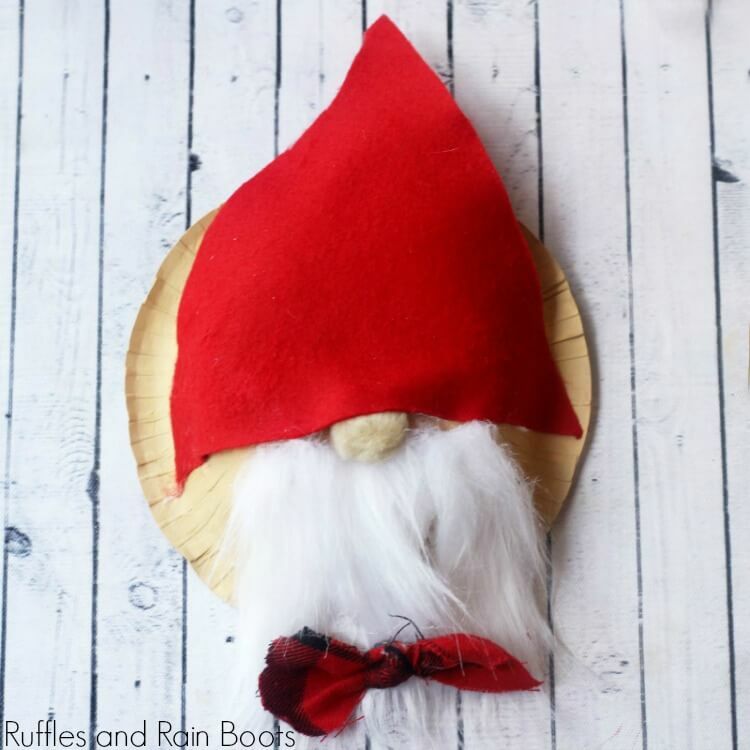 Here on Ruffles and Rain Boots, we love Christmas gnomes – we have so many holiday gnome crafts for kids and adults, it’s shocking! I’ll link a few of our favorite projects below, but for now, I’d like to share a fun gnome craft for kids using a paper bowl! One of the best things about this quick Christmas craft is that it uses scraps and basic craft supplies! No need to add to your ever-growing craft supplies for this one. Grab the kids and let’s get started. 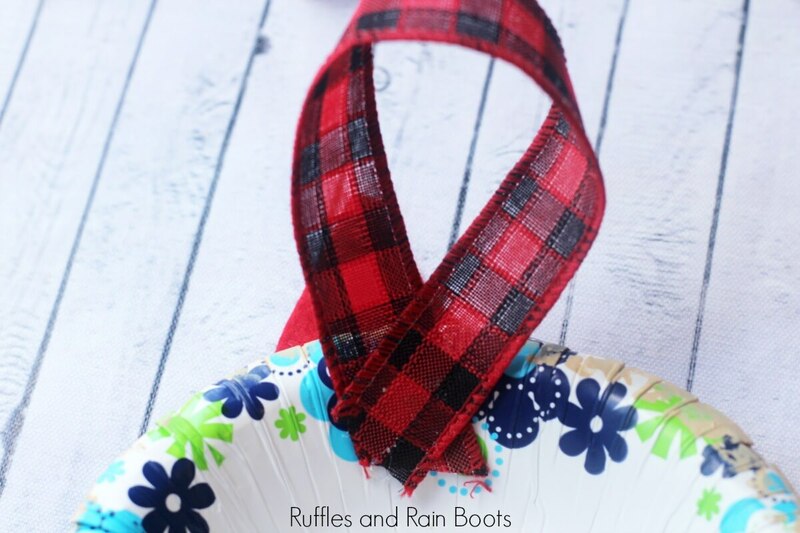 Friends, this is a seriously cute Christmas craft for the kids. 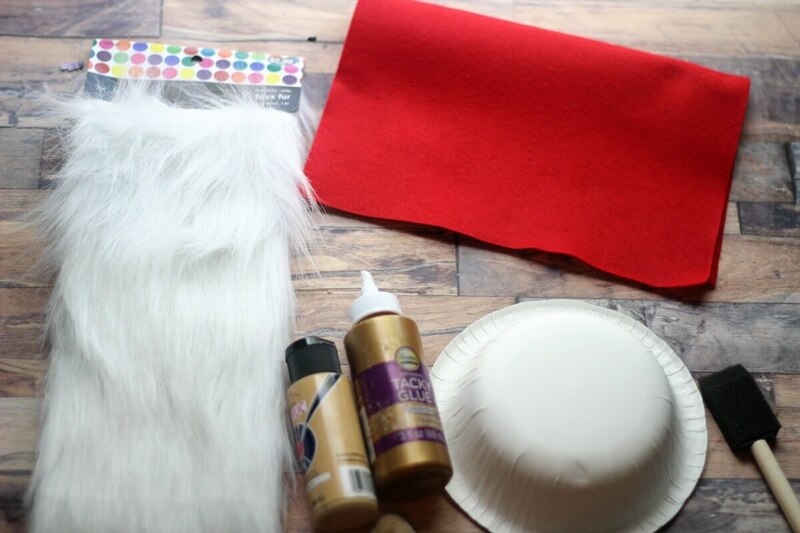 They might need your help with the craft fur but you can also use cotton balls unrolled for the beard. A tip on cutting craft fur if you’ve not done it before: don’t cut it with scissors as you’d do with paper, instead, turn it over and only cut the backing. We put a hanger on our little gnome face, but don’t feel you need. My daughter also suggested to glue a craft stick on it and use it as a puppet – so yet another way to play! 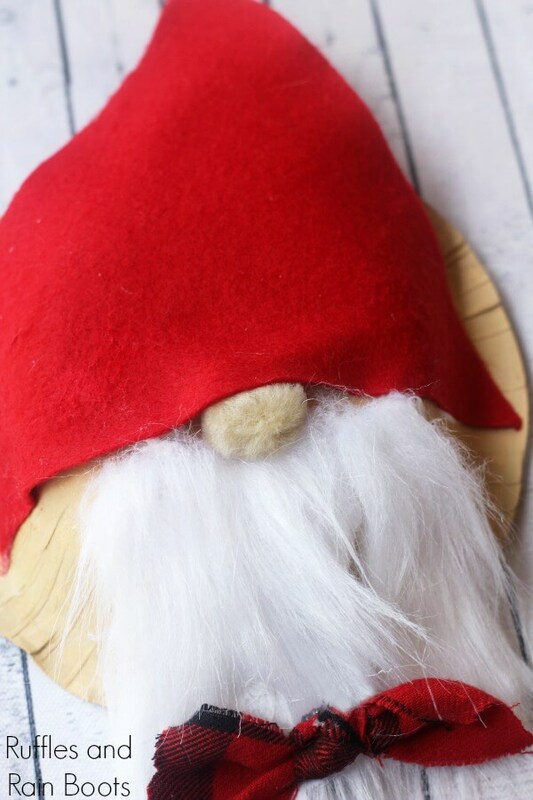 If you are creating a “Christmas crafts for kids” playlist on YouTube, here is our paper bowl gnome craft for kids video tutorial. Let the kids paint the back of the bowl. Let dry. While the bowl dries, cut a beard from the fur for them or hand them scraps of cut fur. Instruct the children to cut a hat wide enough for the bowl by placing the bowl on the felt and forming a triangle from the widest area. As you can see, ours fell a bit short. Use a generous amount of glue to secure the beard. Next, secure the pompom (at the top of the beard). Finally, glue the hat over the top of the beard just so that the nose is peeking out under the hat. 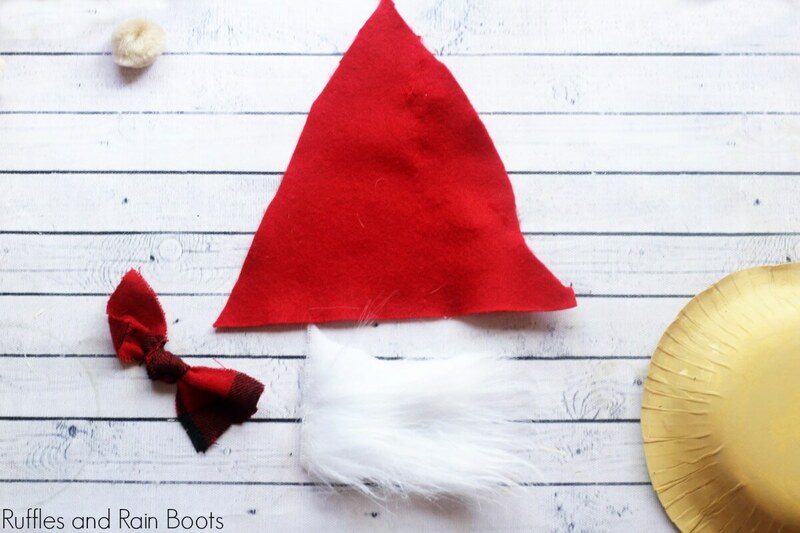 To embellish the gnome, older kids can cut ribbon or piece of fabric into a bowtie or bow (for the top of the hat) and secure it with glue. If you’re looking for more crafts for kids and adults, check out some of these holiday favorites. We make a lot of Swedish gnome crafts, friends.